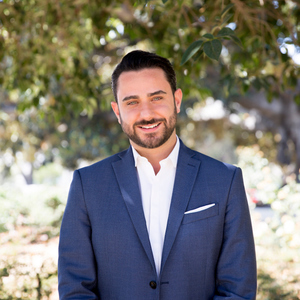 Evan Domaltsky, a Los Angeles native, boasts an in-depth understanding of the LA residential housing market. His passion for people and the city made real estate an obvious choice of career. Evan has lived in wide variety of LA neighborhoods from West Hollywood to Studio City. He also speaks Russian fluently. Evan's hard work and commitment to client satisfaction made the Ari Afshar team a perfect fit. Working in a Pharmacy for many years helped Evan hone his interpersonal skills. He has an uncanny ability to be both resourceful and supportive with each client. Evan understands that every client has specific needs and it is the responsibility of the agent to facilitate those needs and to produce the best results for each client. Whether it is working with a first time homebuyer or a seasoned developer, he prides himself on unparalleled service. Evan’s focus is always on serving his clients with honesty, integrity, and discretion; the pillars of the Ari Afshar team.